Easter weekend in the Gatlinburg and Pigeon Forge area promises a multitude of family activities, entertainment, celebration and worship. If you’re in the area you may well be taking advantage of the Half-Price cabins offered by Cabins of the Smoky Mountains this weekend. So to explore what’s going on around and about this Easter, here are some highlights. 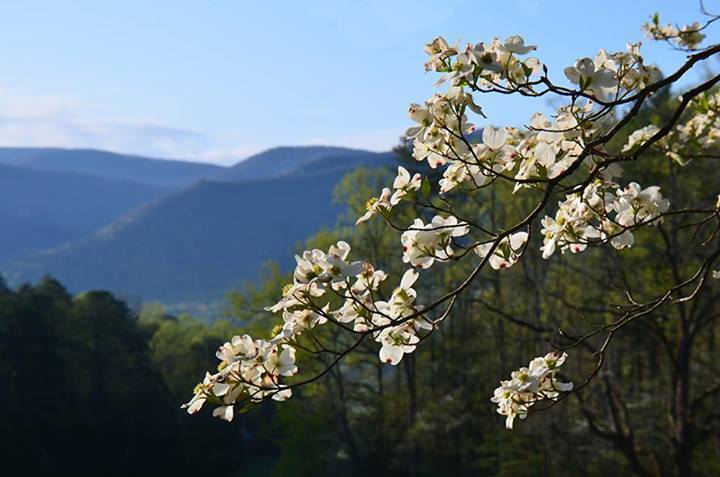 If you’ve noticed the abundance of wildflowers everywhere you turn in the area, so have visitors from all over the world, come to Great Smoky Mountains National Park to catch the peak wildflower bloom happening now. This has been the week of the annual Spring Wildflower Pilgrimage to the Park’s unique biosphere, home to over 1,500 species of plant life. The Pilgrimage ends Saturday, April 19, and the wildflowers will remain into May. Back in town, Arts and Crafts are never far away from public view in this area and the 2014 Easter Craft Show is in full swing at the Gatlinburg Convention Center. It’s FREE admission to this ever popular event put on by the artisans of the Great Smoky Arts & Crafts Community. The richness and variety of the area’s craft works and demonstrations never cease to be a feast for the eyes, from Appalachian folk heritage to modern-day artisan techniques. The Show lasts through Saturday, April 19. How about a trip Pigeon Forge-side to visit Dollywood and catch the 2014 Festival of Nations currently in spirited celebration of the world’s cultures and entertainment styles? 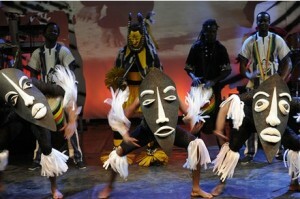 This year Dollywood has brought performers from around the world, including Africa, South America and Russia. The Festival of Nations is a always a dazzling display of native costume, sound and motion as world-class acts converge for a month each spring. Besides their music, talent and dance they also bring their food, and the Festival turns into a literal feast in the World Passport to Food section of the event. Here’s a real chance to taste the many flavors of the world in a host of yummy delights! The Festival comes to an end after this weekend, on April 21. Here’s our review of last year’s Festival of Nations at Dollywood. The Easter Bunny is always around at this time of year, and Pigeon Forge offers its traditional Easter Egg Hunt at Patriot Park on Saturday, April 19, at 10 am. If you want more, at noon the Island in Pigeon Forge is offering its own egg hunt. 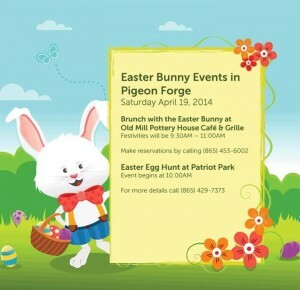 At both sites, brunch with the Easter Bunny is offered by a nearby restaurant. During this Easter weekend worship of course occurs in the many area churches. 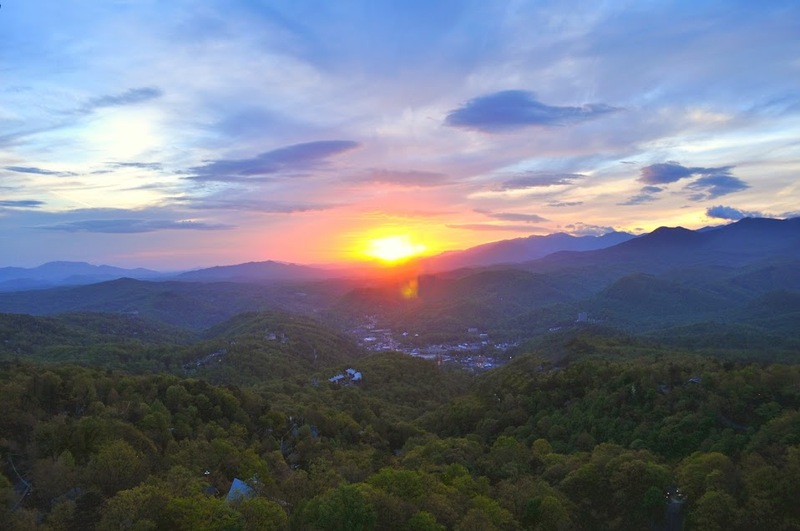 One of the more solemn and uplifting events unique to the area is the Easter Sunrise worship at Ober Gatlinburg ski area. The Easter Sunrise Service begins at 6:30 am on Sunday, April 20. One hour prior to that, the overhead tram will offer free passage up the mountain from downtown Gatlinburg, starting at 5:30 am and running at 15-minute intervals. Free parking is also offered by Ober Gatlinburg for those who prefer to drive up. A breakfast buffet is available after the service, and also something rather special this year – if you’re up for some fun after breakfast, Sunday is also the last day of Snow Tubing at Ober Gatlinburg, offering the whole family a chance to try this safe and exhilarating experience on the mountain. Tubing sessions are at 11 am and 1, 3 & 5 pm.